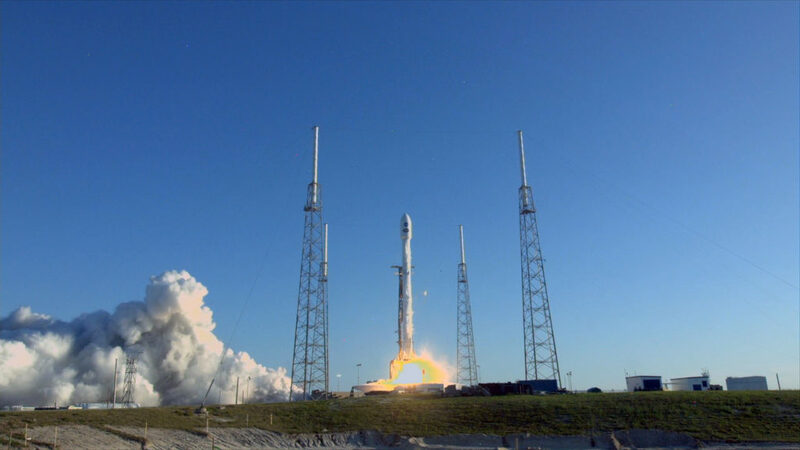 The Transiting Exoplanet Survey Satellite (TESS), NASA’s latest exoplanet-hunting space telescope, was launched into space on Wednesday, April 18th, 2018. As the name suggests, this telescope will use the Transit Method to detect terrestrial-mass planets (i.e. rocky) orbiting distant stars. Alongside other next-generation telescopes like the James Webb Space Telescope (JWST), TESS will effectively pick up where telescopes like Hubble and Kepler left off. But just how many planets is TESS expected to find? That was the subject of a new study by a team researchers who attempted to estimate just how many planets TESS is likely to discover, as well as the physical properties of these planets and the stars that they orbit. 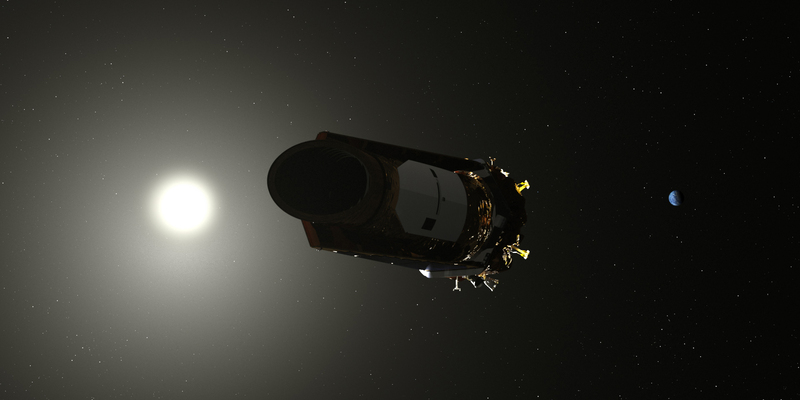 Altogether, they estimate TESS will find thousands of planets orbiting a variety of stars during its two-year primary mission. The study, titled “A Revised Exoplanet Yield from the Transiting Exoplanet Survey Satellite (TESS)“, recently appeared online. The study was led by Thomas Barclay, an associate research scientist at the NASA Goddard Space Flight Center and the University of Maryland, and included Joshua Pepper (an astrophysicist at Lehigh University) and Elisa Quintana (a research scientist with the SETI Institute and NASA Ames Research Center). For the sake of their study, the team created a three-step model that took into account the stars TESS will observe, the number of planets each one is likely to have, and the likelihood of TESS spotting them. These included the kinds of planets that would be orbiting around dwarf stars ranging from A-type to K-type (like our Sun), and lower-mass M-type (red dwarf) stars. The first step was straightforward, thanks to the availability of the Candidate Target List (CTL) – a prioritized list of target stars that the TESS Target Selection Working Group determined were the most suitable stars for detecting small planets. They then ranked the 3.8 million stars that are included in the latest version based on their brightness and radius and determined which of these TESS is likely to observe. The second step consisted of assigning planets to each star based on a Poisson distribution, a statistical technique where a given number is assigned to each star (in this case, 0 or more). Each planet was then assigned six physical properties drawn at random, including an orbital period, a radius, an eccentricity, a periastron angle, an inclination to our line of sight, and a mid-time of first transit. Last, they attempted to estimate how many of these planets would generate a detectable transit signal. As noted, TESS will rely on the Transit Method, where periodic dips in a star’s brightness are used to determine the presence of one or more orbiting planets, as well as place constraints on their sizes and orbital periods. For this, they considered the flux contamination of nearby stars, the number of transits, and the transit duration. As of April 1st, 2018, a total 3,758 exoplanets have been confirmed in 2,808 systems, with 627 systems having more than one planet. 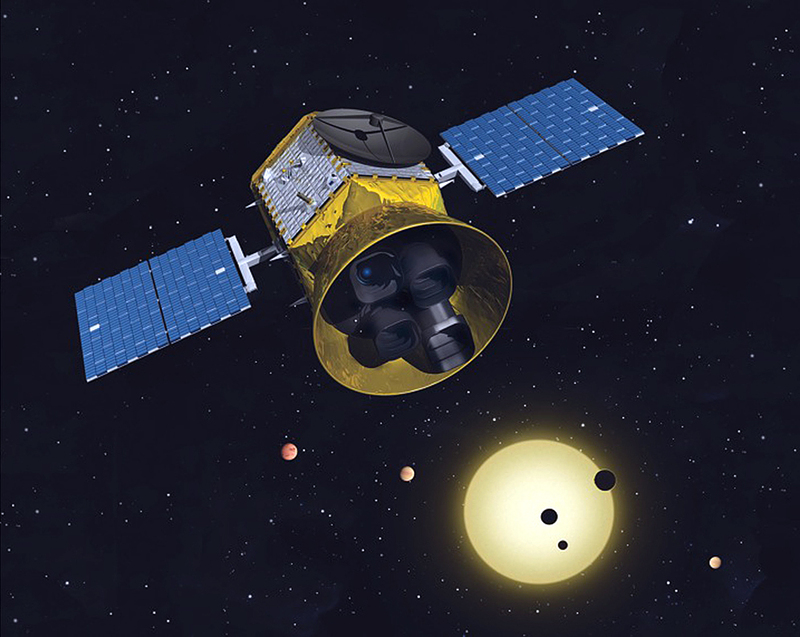 In other words, Barclay and his team estimate that the TESS mission will effectively double the number of confirmed exoplanets and triple the number of Earth-sized and Super-Earth’s during its primary mission. This will begin after a series of orbital maneuvers and engineering tests, which are expected to last for about two months. With the exoplanet catalog thus expanded, we can expect that there will be many more “Earth-like” candidates available for study. 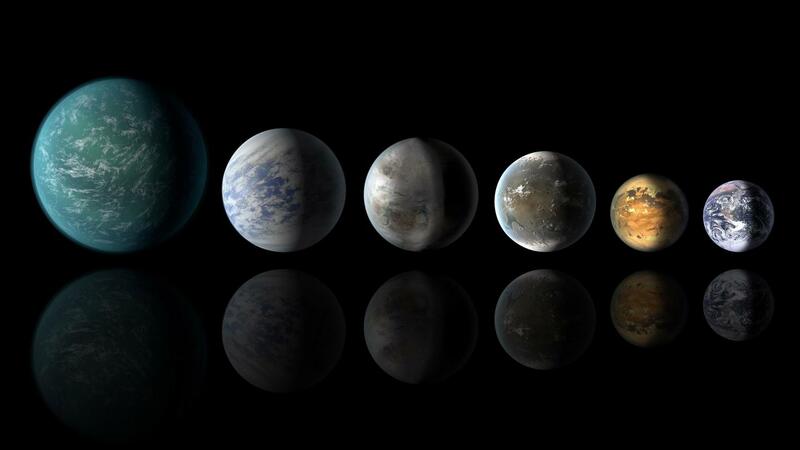 And while we still will not be able to determine if any of them have life, we may perhaps find some that show signs of a viable atmosphere and water on the surfaces. Once it deploys, the James Webb Space Telescope (JWST) will be the most powerful and technically complex space telescope ever deployed. Using its powerful suite of infrared-optimized instruments, this telescope will be able to study the earliest stars and galaxies in the Universe, extra-solar planets around nearby stars, and the planets, moons and asteroids of our Solar System. Unfortunately, due to its complexity and the need for more testing, the launch of the JWST has been subject to multiple delays. And as of this morning, NASA announced that the launch JWST has been delayed yet again. According to a statement issued by the agency, the launch window for the JWST is now targeted for sometime around May 2020. The decision came after an independent assessment by the project’s Standing Review Board (SRB) of the remaining tasks, all of which are part of the final stage of integration and testing before the JWST launches. These tasks consist of integrating the combined optics and science instruments onto the spacecraft element, then testing them to ensure that they will deploy properly and work once they are in space. This assessment came on the heels of a report issued by the Government Accountability Office (GAO) in February that expressed concerns over further delays and cost overruns. These concerns were based on the fact that it is typically in the final phase when problems are found and schedules revised, and that only 1.5 months of schedule reserved remained (at the time) until the end of the telescope’s launch window – which was scheduled for 2019. NASA also announced that it is establishing an external Independent Review Board (IRB) chaired by Thomas Young – a highly-respected NASA and industry veteran who has a long history of chairing advisory committees and analyzing organizational and technical issues. The IRB findings, along with the SRB data, will be considered by NASA to set a more specific launch date, and will be presented to Congress this summer. In the meantime, NASA and the European Space Agency (ESA) will be setting a new launch readiness date for the Ariane 5 rocket that will bring the JWST into space. Once a launch date is set, NASA will also be providing a cost estimate that may exceed the $8 billion budget cap established by Congress in 2011. This too is in keeping with the GAO’s report, which predicted cost overruns. 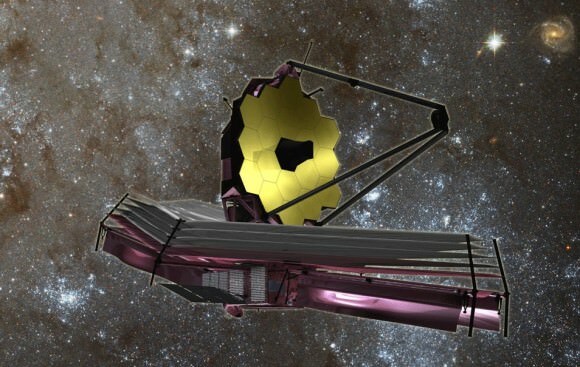 For those who have been following the JWST’s development, this news should come as no surprise. Due to its complexity and the need for extensive testing, the launch of the JWST has been delayed several times in recent years. In addition, the final phase consists of some of the most challenging work, where the 6.5-meter telescope and science payload element are being joined with the spacecraft element to complete the observatory. In addition, the science team also needs to ensure that the observatory can be folded up to fit inside the Ariane 5 rocket that will launch it into space. They also need to ensure that it will unfold again once it reaches space, deploying its sunshield, mirrors and primary mirror. Beyond that, there are also the technical challenges of building a complex observatory that was created here on Earth, but designed to operate in space. Not only does all of this represent a very technically-challenging feet, it is the first time that any space telescope has had to perform it. 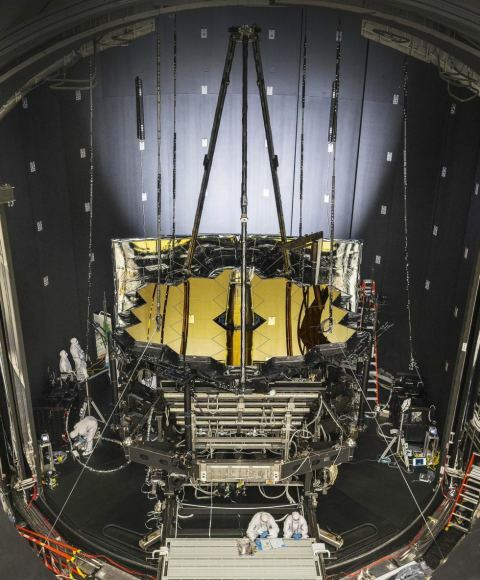 Already, the JWST has completed an extensive range of tests to ensure that it will reach its orbit roughly 1.6 million km (1 million mi) from Earth. And while delays can be discouraging, they also increase the likelihood of mission success. The next step in testing will take several months, and will consist of the spacecraft element undergoing tests to simulate the vibrational, acoustic and thermal environments it will experience during its launch and operations. Once complete, the project engineers will integrate and test the fully assembled observatory and verify that all its components work together properly. And then (fingers crossed!) this ambitious telescope will finally be ready to take to space and start collecting light. In so doing, scientists from all around the world hope to shed new light on some of the most fundamental questions of science – namely, how did the Universe evolve, is their life in our Solar System beyond Earth, are their habitable worlds beyond our Solar System, and are there other civilizations out there? 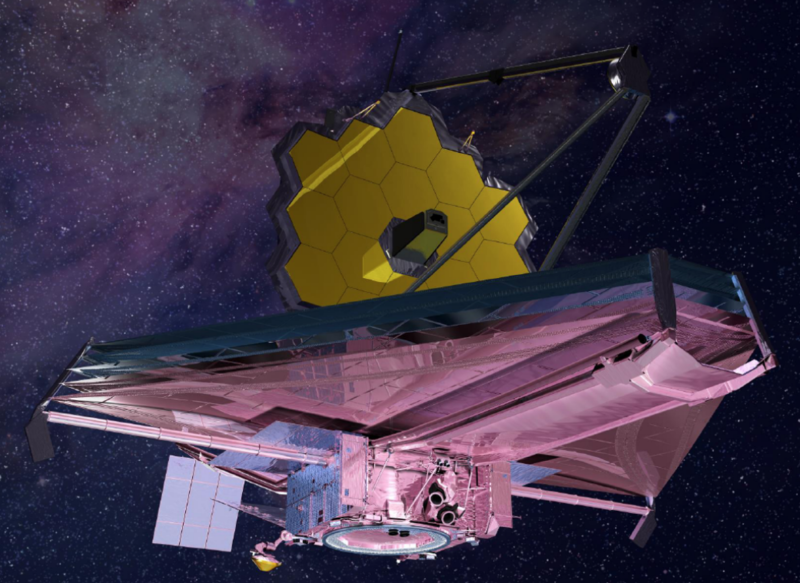 Bottom line, NASA remains committed to deploying the James Webb Space Telescope. So even if the answers to these questions are delayed a little, they are still coming! 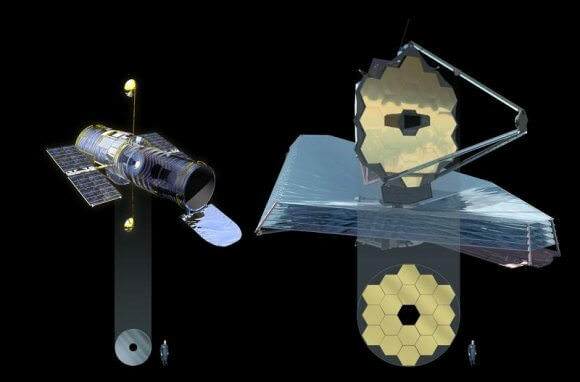 Once deployed, the James Webb Space Telescope (JWST) will be the most powerful telescope ever built. As the spiritual and scientific successor to the Hubble, Spitzer, and Kepler space telescopes, this space observatory will use its advanced suite of infrared instruments to the look back at the earliest stars and galaxies, study the Solar System in depth, and help characterize extra-solar planets (among other things). Unfortunately, the launch of the JWST has been subject to multiple delays, with the launch date now set for some time in 2019. Luckily, on Thursday, March 8th, engineers at the Northrop Grumman company headquarters began the final step in the observatory’s integration and testing. Once complete, the JWST will be ready to ship to French Guiana, where it will be launched into space. This final phase consisted of removing the combined optics and science instruments from their shipping containers – known as the Space Telescope Transporter for Air, Road and Sea (STTARS) – which recently arrived after being testing at NASA’s Johnson Space Center in Houston. This constitutes half the observatory, and includes the telescope’s 6.5 meter (21.3 foot) golden primary mirror. The science payload was also tested at NASA’s Goddard Space Flight Center last year to ensure it could handle the vibrations associated with space launches and the temperatures and vacuum conditions of space. 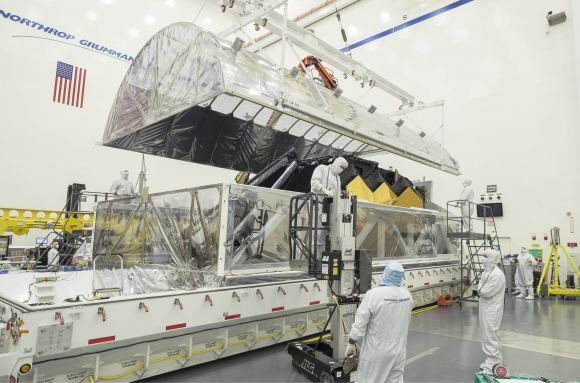 The other half of the observatory consists of the integrated spacecraft and sunshield, which is in the final phase of assembly at the Northrop Grumman company headquarters. These final tests are crucial to ensuring that that the observatory deploys properly and can operate once it is in space. This is largely because of the telescope’s complicated design, which needs to be folded in order to fit inside the Ariane 5 rocket that it will carry it into space. Once it reaches its destination, the telescope will have to unfold again, deploying its sunshield, mirrors and primary mirror. Not only does all of this represented a very technically-challenging feet, it is the first time that any space telescope has had to perform it. Beyond that, there are also the technical challenges of building a complex observatory that is designed to operate in space. While the JWST’s optics and science instruments were all built at room temperature here on Earth, they had to be designed to operate at cryogenic temperatures. As such, its mirrors had to be precisely polished and formed that they would achieve the correct shape once they cool in space. Similarly, its sunshield will be operating in a zero gravity environment, but was built and tested here on Earth where the gravity is a hefty 9.8 m/s² (1 g). 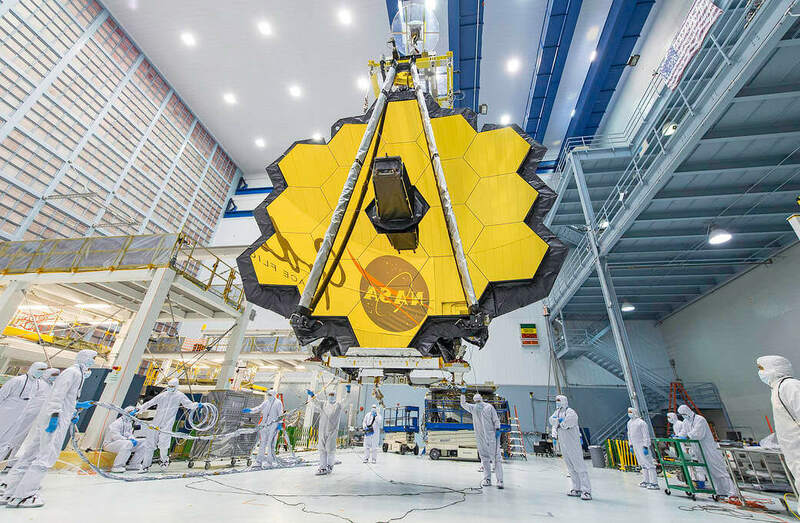 In short, the James Webb Space Telescope is the largest and most complex space telescope ever built, and is one of NASA’s highest priority science projects. Knowing that the JWST is now embarking on the final phase of its development – and that its engineers are confident it will perform up to task – is certainly good news. Especially in light of a recent report from the US Government Accountability Office (GAO), which stated that more delays were likely and that the project would probably exceed its original budget cap of $8 billion. In other words, there is no indication whatsoever that Congress is considering cancelling the project, regardless of further delays or cost overruns. And when the JWST is deployed, it will use its 6.5 meter (21-foot) infrared-optimized telescopes will search to a distance of over 13 billion light years, allow astronomers to study the atmospheres of Solar Planets, exoplanets, and other objects within our Solar System. So while the JWST may not make its launch window in 2019, we can still expect that it will be taking to space in the near future. And when it does, we can also expect that what it reveals about our Universe will be mind-blowing!